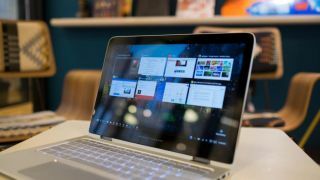 A freshly introduced update for Windows 10 has apparently been causing havoc with some users’ machines, invoking the dreaded blue screen of death (BSOD), and in some cases triggering the even-more-dreaded boot loop (i.e. repeated rebooting). Now, this is where it gets thorny, because the Microsoft moderator on the post notes that this is caused by a ‘dual patching disaster’ in enterprise environments. In other words, it’s not the fault of the update itself, but the fact that users have been led to install “both the delta update and the cumulative update which shouldn't have been pushed to WSUS [Windows Server Update Services] last night”. So, your average home user simply downloading updates from Windows Update shouldn’t be affected by this issue – and yet there are reports on that same thread from such users who claim they have been hit by the problem. Although user NicDG notes that his PC doesn’t have USB Type-C on board. At any rate, Microsoft has said it’s working on a fix for the USB-C issue, which will be provided in a future update. The workaround for now is to “disable UCSI in the computer system’s BIOS”, although that will fully disable UCSI features across Windows, of course. While there may not be much of an issue here for the majority of home users, if indeed any, the more cautious out there might want to give this particular update a little breathing room. These sort of potential problems, of course, are one reason why updates being piped directly and automatically to a Windows 10 PC can be a cause of frustration. Certainly, when it comes to the major updates, we’re never keen to be an early adopter, preferring the strategy of waiting to see what issues crop up (if any) before we take the plunge.